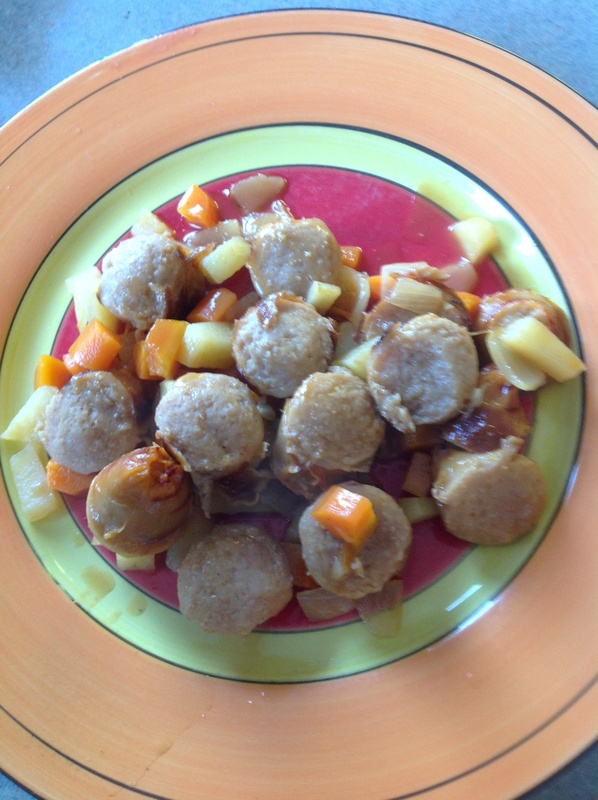 Day #17 – Curried Sausages | Have kids, they said. It'll be fun, they said. When you are a Proper Grown Up, you tend to have dinner at, say, 7:30pm. 8pm even. When you have children, dinner gets earlier and earlier. And then you go out for dinner with Proper Grown Ups and they say, let’s meet at 7:30. And you stare at them, not quite sure if they mean 7:30am or maybe they mean it’s not dinner but coffee and cake? Because you already had your tea at 4:45pm? Anyone with children knows how chaotic the household gets from around 4:30pm, so everything is meticulously planned to avoid Complete and Utter Meltdown. At our house, if dinner isn’t served by 6pm, it doesn’t get eaten. It gets thrown and yelled at and cried upon. By me as much as the kids. I had every intention of cooking roast beef today but some days, today happens. As in, the meeting that was supposed to be half an hour, was an hour. Picking up the kids became a full play date (which I am not complaining about, I enjoy catching up with my friend while the kids play!). However, we didn’t walk in the door until 4:15pm which is a bit late to cook a roast when you eat by 6pm. So, I peered into the fridge, saw sausages, and made Curried Sausages. Cook the sausages then put aside. 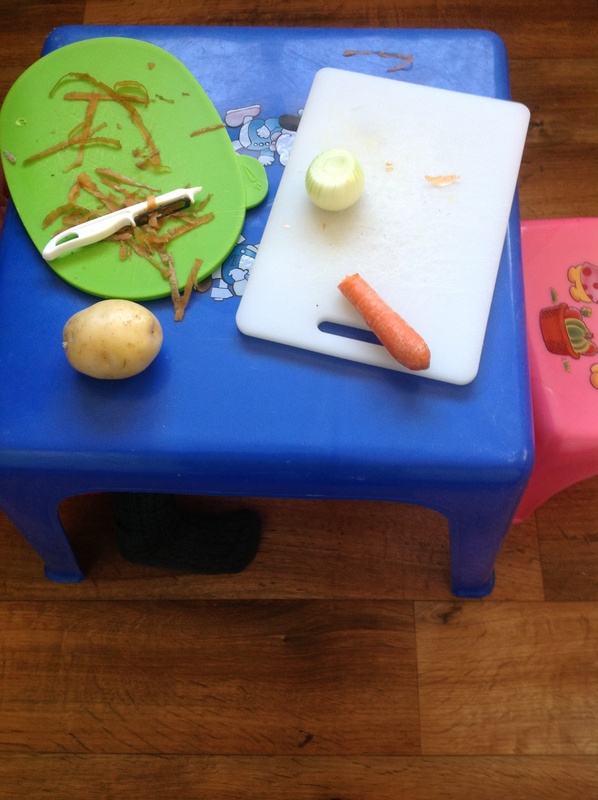 Chop the potato, onion and carrot and cook for two minutes. Add in the curry powder, tomato paste, brown sugar and Worcester sauce. Cook for two more minutes then add the water and stir. Add the sausages (I chopped them up at this point) and bring to the boil, then cover and simmer for 15 minutes. Win. Really, really yummy. Not at all like what I expected – not even remotely like a curry. Nonetheless, they were very delicious. Because they were packed full of veges etc we didn’t need a side dish. A definite winner, though next time I would be more creative with spices I think. And now it’s 7:37pm, must be time for supper. Sausages are the best easy dinner. A real crowd pleaser!